The intended wavelengths, beam size, power to be measured, as well as whether or not the beam is continuous wave or pulsed will determine what type of profiler will be the best match. Benefits for using a laser beam profiler include laser realignment, off axis delivery optics, alignment of devices to lenses, laser amplifier tuning, and improvement of most laser processes. Ophir also delivers beam attenuating accessories, near field profilers, and acquisition and analysis software. 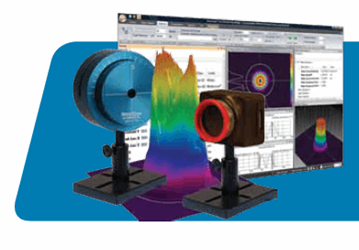 Download the Laser Beam Profilers Catalog for more information on the different Ophir beam profilers, what accessories and software come with each one, and how to make the best profiler choice for your application.